Gameness have been, and remain, a big name in the BJJ world. They’ve been in operation since 1998 so have seen BJJ rise from relative obscurity into the worldwide mammoth it continues to grow into. BJJ will only continue to evolve, grow and spread into the mainstream so Gameness have kept their finger on the pulse to grow with the sport. Gameness have been a very common BJJ gi brand for a long time and have a wealth of knowledge that allow them create excellent product after product. There’s a lot that goes into making a top-quality gi and a lot of it is hidden. Invisible. The invisible Jiu-Jitsu of crafting gi’s that only those with the in-depth knowledge gained over decades of work can really identify and understand. It’s the little details and small touches that you can’t see or put your finger on that really sets Gameness gi’s apart from the tidal-wave of new gear that floods the market each year. It’s those small touches that keeps Gameness ahead of their competition. Gameness state that they’re all about innovation and pushing the boundaries of what is possible whilst still building on the basics and a solid foundation. They’ve created products such as their Elite Gi that features a built-in rash-guard as well as other new-fangled technologies. But through all of this, Gameness do not let themselves lose sight of what is really important. Just like in BJJ itself, it’s all about the basics. It’s all about that strong foundation built with the basics that allows you to experiment and grow. So all of Gameness gi’s are tough and durable, they look great and they’re damn comfortable too. 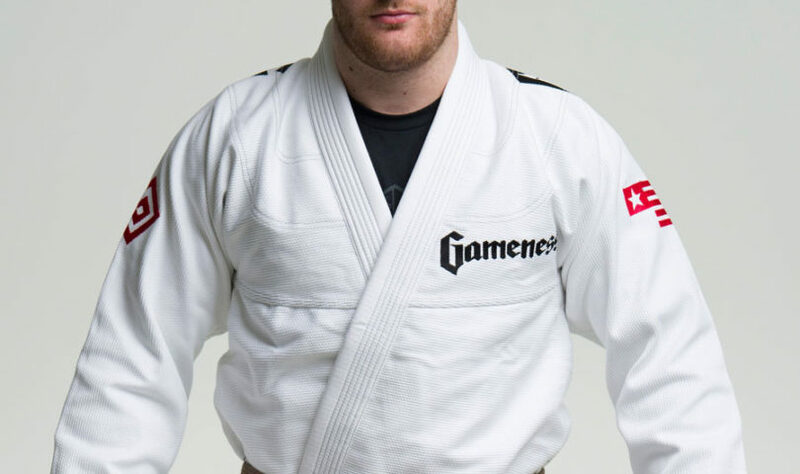 This is Gameness’ number one selling gi and arguably their flagship gi. This is their cornerstone gi, upon which all their higher level gi’s are built and improved upon. 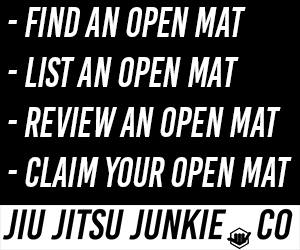 This gi is perfect for beginner and experienced trainer alike. This is a gi that can be fasted with both white belts and black belts and every belt in between and still offer excellent utility. Perfect for both the low grind of daily training and the high peaks of competition. This is a tough gi that isn’t overly heavy, making it fine to weigh in and compete with without adding too much bulk to the scales. The 100% cotton, pearl weave jacket provides a nice balance between lightness and durability as well as added comfort. BJJ can be tough and gruelling a lot of the time, especially if it’s hot or you’re many rounds deep into sparring, so you’ll want to take any added comfort you can get. To improve comfort and fluidity of motion even further, they’ve made the back seamless so you can roll better without any snags or awkward bits of material. To make the gi as tough as it can be as it’s weave level, they’ve reinforced all of the problem areas, such as the knees for example, to prevent any tearing or fraying. This is a perfect all-rounder gi for people of any level. It’s light yet strong, it looks good without having an abundance of stylistic elements and it’s comfortable. At this price, you really can’t go wrong with this gi. Gameness are extremely proud of this gi. They claim that it may in fact be the lightest gi in the world. Especially likely as the lightest gi at this price point. If you only cared about lightness, then you could chuck on a karate gi but it’d likely be shredded and torn to pieces after a round or two of sparring. It’s incredibly tricky and difficult to design a gi that is incredibly light, like this Air gi, whilst still being able to handle the hard, physical training of BJJ. This is a fantastic gi for people of all training levels, but especially great for newbies. For the same price as you’d expect to pay for a baggier, basic, entry-level gi, you can get this Air gi from Gameness. Instead of spending weeks melting under the unyielding weight of a budget, double-weave gi and thinking that maybe BJJ isn’t for you, you can enjoy training in this. You get to ease yourself into training in the most comfortable and efficient way possible, eschewing all the discomfort you’d have to get used to to otherwise. As with most lighter, competition style gi’s, it features a more tapered fit and is available in a wide range of sizes starting at A0 and working up to A6. For reference, A0 is for people who are around 5ft tall and under and A6 is for those beasts who are close to 6 and a half feet tall. Between those sizes, everyone can find a gi that fits. Whilst many companies try to make their gi’s as comfortable as they can be, comfort is generally not the first priority. First, they need to make sure that gi’s are durable. BJJ is tough and rough and the gi’s need to be able to have people grab and yank on them repeatedly without any damage whatsoever. The gi needs to be able to do this without being as heavy as lead. Once weight is taken care of, they can worry about appearance. No-one wants to buy an ugly gi. Once that is all sorted out, they can then worry about comfort. Let’s face it, gi’s just aren’t that comfortable but Gameness don’t believe that things have to be this way. In fact, they have done everything within their power to defy my previous statement and the fruits of their great labour is the Elite gi. With innovation always been a solid tenet in Gameness’ design ethos, they have crafted a gi with a built in rash-guard liner. This means that you can wear this gi without a rash-guard and indulge in all the smooth, delightful comfort that that brings. No more scratching your skin to pieces with rough material and no sweat-soaked gi sticking to your flesh and causing discomfort. With the 550 GSM pearl weave jacket and aforementioned rash-guard liner, you won’t have a more comfortable or luxurious roll with any other gi. Ever.